The special high-performance Tapyrus filter eliminates 99% of particles 0.1pm or larger and blocks out the viruses, pollen, and other fine particles. 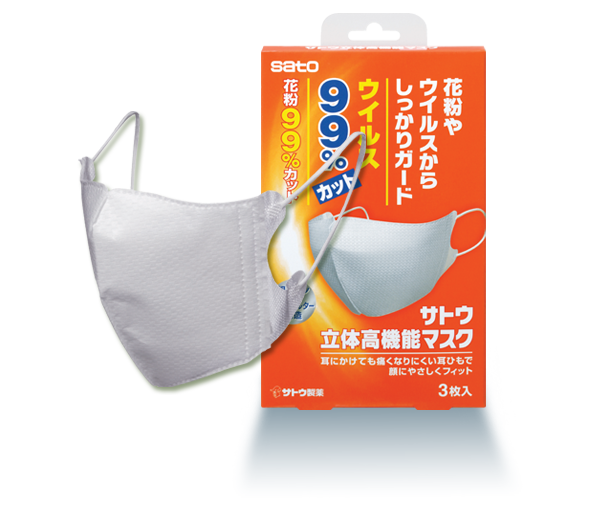 Employs the antibacterial and odor-preventing cloth KD-211 that blocks the growth of various bacteria. Thin and easy to use, this fits snugly on the face; does not cause eyeglasses to steam up.